I was watching an episode of “Enjoying Everday Life” and the topic was about being a person of excellence. I’ve seen this episode several times but it still tickles me when Joyce Meyer admits that God did more dealings with her (in regards to this topic) in the grocery store than anywhere else. For two years He had to deal with her about putting the grocery cart back in the coral. I simply can relate….I don’t know how many times while in the clothing area of Target, I find shirts off the hanger. Flashes of Joyce pop in my mind, as I try to pretend that I don’t see the shirt. I mean, why should I hang it back up when I did not knock it down in the first place? Jesus gave plenty of examples about walking in obedience and excellence and what the end result will be if we do. Paul writes, “Whatever you do, work at it with all your heart, as working for the Lord, not for men, since you know you will receive an inheritance from the Lord as a reward” (Colossians 3:23-24). I stumbled across an article while I was searching for scriptures on excellence. It was taken from http://www.knowjesus.com/Dev_excellence.shtml and I think it contains some deep insight to further support this topic. …it should be clear that God wants His people to abound or excel in both what they are (inward character) and in what they do (behavior or good deeds). It would seem obvious that there is simply no way one can love God with all his heart (Matt. 23:37) without seeking to do his or her best to the glory of God (1 Cor. 10:31). Since that is so, the pursuit of excellence is both a goal and a mark of spiritual maturity. However, for this to be true, the pursuit of excellence must be motivated by the right values, priorities, and motives. If we go astray here, the pursuit of excellence can quickly become a mark of immaturity and just another result of man’s obsession with his own significance, which, as mentioned previously, is a perilous pursuit. So our goal of excellence should be driven by right values, priorities, and motives. I invite you to ask these questions and take a little inventory of your motives to see what drives you. Is someone else paying for other’s mistakes that caused harm to you? 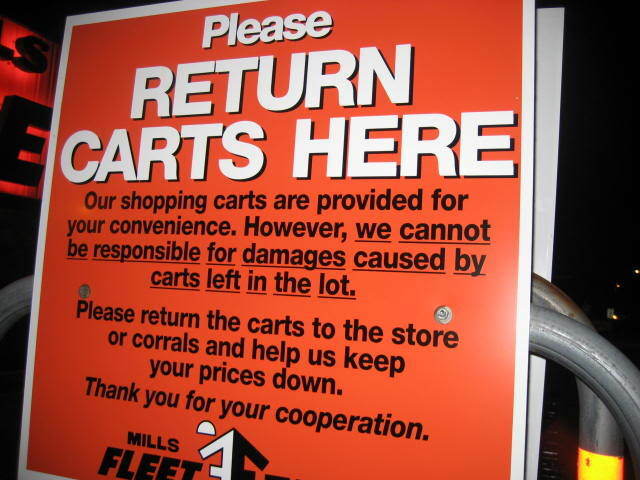 Are you putting the grocery cart back in the coral? Is someone else “picking up the tab” of life while you are more than capable of meeting your own needs? Are you putting the clothes back on the hanger even though you were not the cause of it? Are you constantly dwelling on the faults of others instead of celebrating their good qualities? Are you constantly showcasing your life as something big and great, when behind closed doors it’s a total mess? Do you say you’re sorry when you know you have done something wrong? I took my own inventory and found that there was some room for improvement. Hearing that you have flaws is not easy. The first reaction is to get defensive, but don’t! Take this opportunity to walk it out and set things straight. You will be so much happier that you did. There will be a deep heaviness that has been lifted and you will experience freedom and peace!